Blurb : Travel books strive on cliches. And mostly it is a single man on a ‘journey of self-discovery’, phew. Well, not this one. 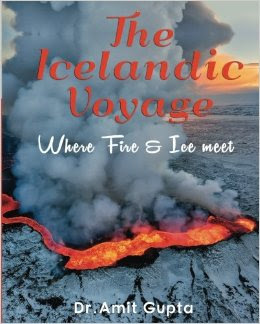 The author along with his family decides to take a trip to the outlandish Iceland. It was a huge task first of all to convince his family to side-line a trip to the sandy beaches of Italy or France and linger upon the idea of a country which has active volcanoes. After a delayed nod, they set on a road trip to discover the most unusual tourist destinations in the world. So, what sets Iceland apart, the black beaches, or a crashed plane turned into a tourist spot, or the city where the population of people can be counted on your fingers? Or the non-existence of mosquitoes & McDonalds. They don’t coincide but you cannot find one in Iceland. Read their journey about how the author faces his family’s indolent behaviour and how he deals with it throughout the whole trip. And also, take a glimpse of a rendition of ‘Gerua’, Gupta family style. My verdict : Well, this travel book has contributed more for me to day dream. This book tells you about the specific place Iceland, and anyone who even would just take a glimpse of book or go around the pictures, they would definitely dream to visit the place once. Well, this place has been a bucket list wish for me. This book talks so much about the place, the every minute detailing has been mentioned in n this book, from the beginning, this book can also be travel guide, from packing to moving, from food to parcels, from shopping to travelling, from blogs to convincing his family about the trip, everything has been mentioned, the environmental conditions, the speciality about the place, and author has tried to cover every possible thing. The gerua moments are such beautiful, and happy moments, and worth capturing, lucky enough to travel along. The language is very simple and understanding, the narration of the plot is simple. Caught in the turmoil of an Underrated Love and an Overrated Infatuation, Raj, a young boy with larger than life dreams, from a small town of Kanpur, is at the crossroad of life, where every road ahead leads to nothing but a Dead-end. 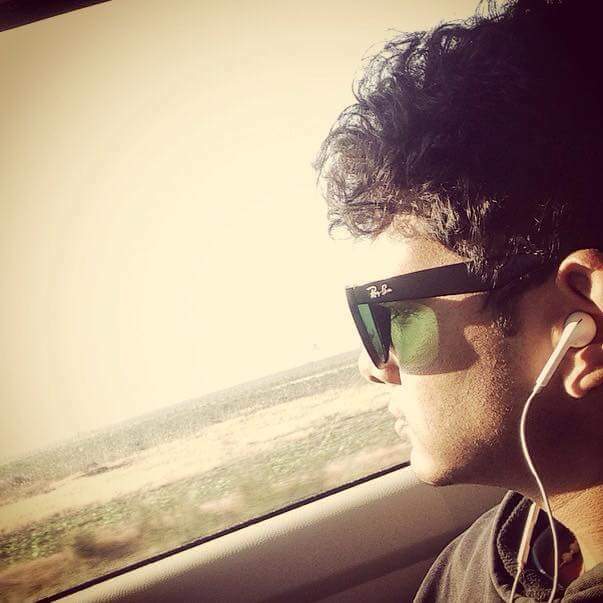 Through the gruelling course of circumstances, he is subjected to the bitter tests of life, where he fails to justify his one decision of parting ways with Mahek. But, when Mahek flashes out of his life, leaving him all alone, the guilt of not been forgiven by her, ruins his soul; and that frustration leads him into seclusion, devoid of even his best buddies – Rohan and Rahul. Failed love, broken friendship, a hurt ego and lost soul – Raj is doomed to darkness. 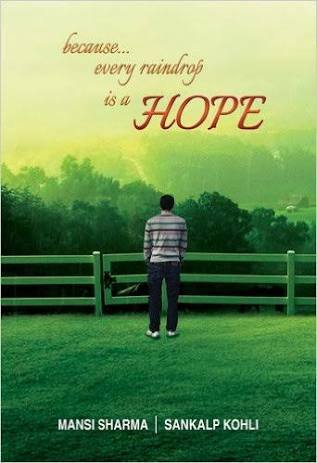 With no ray of hope ahead, just when Raj is about to give up on life, he comes across a note, written to him by his favourite professor, “Never give up Raj Because Every Raindrop is a Hope” which brings Raj face to face with his own self. Why Love that makes Life beautiful, turns into Satan and why friendship one fine day loses all its meaning? Why on the crowded roads of Mumbai city, Raj finds himself walking all alone? The story is based on the life of Raj, who has dreams, aspirations and zeal, as and when he gets selected for his higher studies In Mumbai, he wishes to live his dreams and aspire for more. But then, new life, new city, new lifestyle starts changing Raj, he starts falling in traps, he also has some infatuation on a girl, assuming it to be Love. He also gets into blame game, All that goes smoothly will have something to ruin at the end, and that’s what exactly happens with Raj. His dreams, aspirations all goes in vain, he is messed and trapped in so called love. He falls in pit, does all nonsense things, from being on drug to worse the case. This story is written on how the life of village boy changes instantly. Meanwhile, he overcomes everything he is messed up with, the story goes off little on wild guesses. Narration form of story is beautiful simple language, understanding. I loved the positivity, and few liners, they are really worth reading and sharing. The book has really come out well. 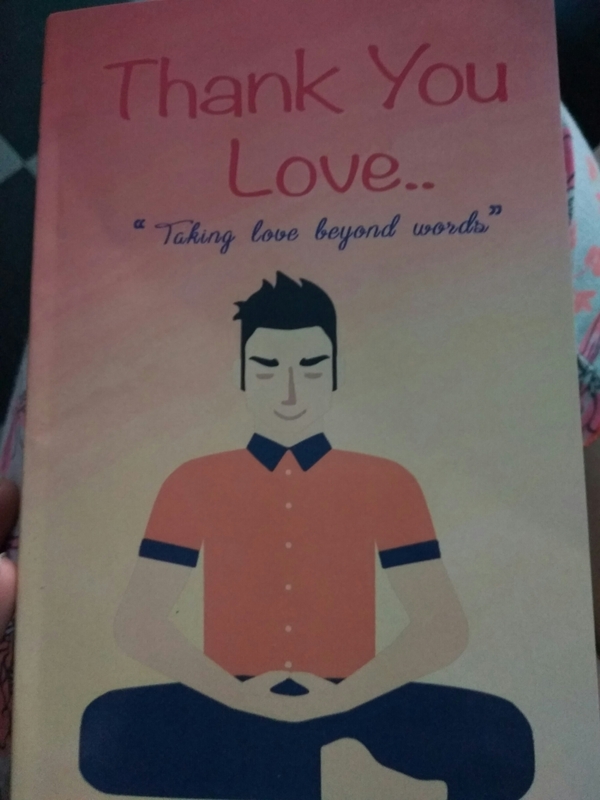 Review – Thank you Love. This story revolves around Rayan, and his life, and his love. As and when the story began, love blomed instantly like ‘Together and forevers” between Rayan and Akshita. They had that bond, love, care, feelings, emotions everything covered up. But things don’t really run smooth for longer, isn’t it? They both soon started finding differences, since Akshita moves to another city, she behaves different, and choose her friends, and starts picking her priority. Which obviously irritates Rayan. Finally they breakup. Throughout this, the story goes off sync at times, and behaves typically at times. The absence of Akshita, cannot be handled by Rayan. He starts finding out a way to relax and reoulds the most important part of his life by meditation. Emotions are very well balanced. Lessons taught are beautiful and practical. Story goes off sync in between. Should have been edited better, found few errors and grammatical mistakes. *The cover page of the book seems little okay, and doesn’t please much. Anyway, I don’t buy books with its cover page. You have always been there for me when needed, moreover, you have also been there, when I myself didn’t know that I needed someone strong beside me. Every single time, I stretched my hand, you always extended yours and held me close. Understood every odd and even situation, and supported in my run. 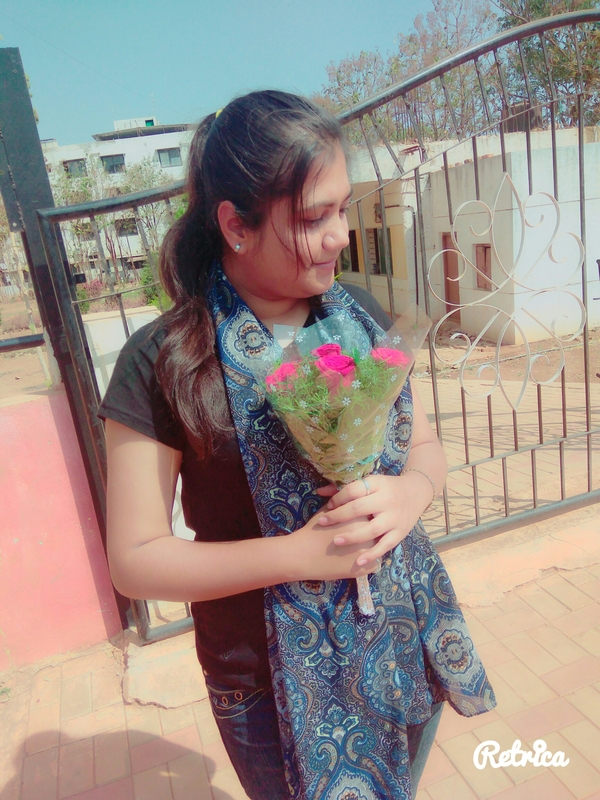 Irrespective of my mood swings, without excusing about your work or studies, without giving reasons of being busy or help up, without questioning the odd time, though early morning or late night, you tolerated my tantrums, and carried my craziness and stood beside me patiently. Believe me, You’re the only Person, who always ran whenever I needed. 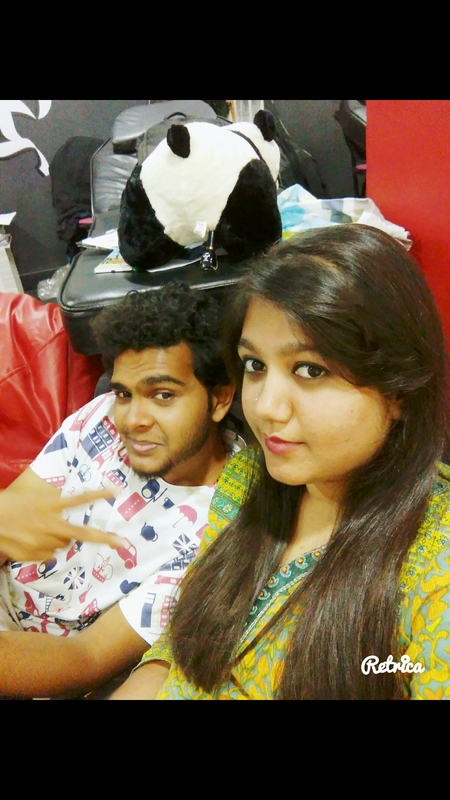 From listening to my talks, shouting and taunts, dancing, laughing, long drives, trips and what not. The stories we share, the moments we make, the Songs we dance on, the way we match steps, the comfort zone we share keeps us close. Dude, you have always heard me when needed, and mostly, I would love to thankyou for being always there, you’re more than best friend, more than anyone, you are only person, who never reacted but always responded, you’re only person who didn’t just listen to my Bad mood swings, you were also there, when I wanted to share my crazy nasty stories, and expressed my every emotion of life. Racy, realistic and fast paced, Double or Quits traces Jyotsna Singh’s story against the backdrop of the treacherous stock markets. Losing her father at the age of 12 and brought up under frugal circumstances, Jyotsna grows up too soon. Nervy and edgy by nature, she morphs into a confident and charming young woman with a successful career in Investment Banking. Enter Aryan Sahani, rising corporate star and billionaire who wraps Jyotsna in his charms, but has plans of his own. Driven by her loyalty to the firm, a desire to break out of her lower middle class moorings and misplaced love, Jyotsna overreaches. She is soon faced with the dark side of the stock markets – a world where ambition, greed and fear rule and reputations are lost a lot faster than they are built. Will Jyotsna be able to resurrect her life? Will she find the true love she has been craving? 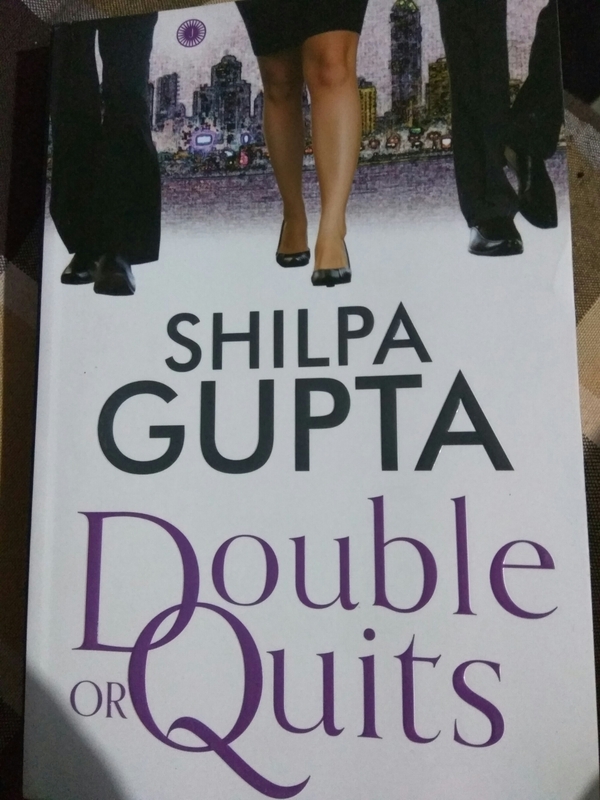 Double or Quits is a tale of love, betrayal and courage. It is a tale about falling down, but not staying down. The story is very beautiful, I just liked the way, the author has played the roles of character, and narrated the entire story very well. The suspense is in the most different way, I personally loved the Main character Jyotsna Singh. She belonged to middle class, consisting small family that included her mother and granny. It revolves around her college life and then to her professional life, passing through hard times and finally falling in love. The way she achieved her dreams, although passing through tough times, watching her work, one could immediately be boosted to work hard, and smart. I also learnt few things from the book, from writing skills to shares and work arena. The depth of the information regarding shares, IPO, SEBI, analyst, recommendations, the value of company and its confidential matters, the passion, the life style, the friendship, the love of the family, those circumstances everything has made every page interesting, I also love the way the story travelled, one might have not even thought about the twists and turns and at times the story is predictable. The editor has done commendable work on it, and so did the author, gathering the information, plot, idea, characters, story line, the hardwork is clearly seen. Every book lover ought to read this. His father’s over expectations only ruined his self-confidence further with each failure. A ray of hope walked into his life as his wife, a charismatic personality spreading joy wherever she went. Everything is going per plan, but darkness comes knocking soon. He finds out that she does not have much time to live and takes it upon himself to fight all odds – even his family, if need be – to help her fight her medical condition. His father sees his own redemption in helping them, he knows his son will be a winner only if he will fight for her, with her. Will a defeated son prove himself to be a good husband? Will the father-son duo together be able to change the course of fate? 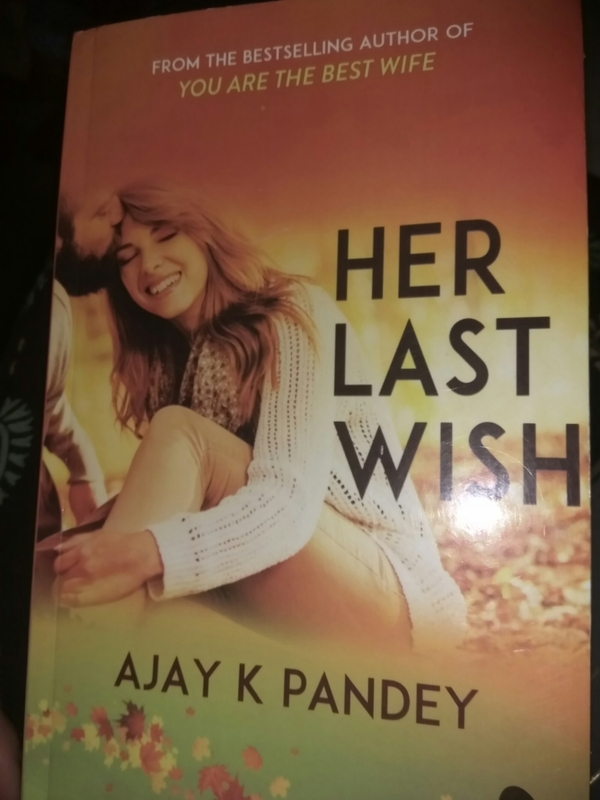 Her Last Wish is an inspiring story of love, relationships, and sacrifice, which proves once again how a good wife makes the best husband. The story of Vijay could be related to many people, who is forced to opt certain course or degree cause of parents will and wish. And as time pass by, you neither reach the goal cause of lack of interest, and can’t do anything of your interest as well, and due to age factor, you are forced to marry, and the roller coaster ride begins, who would marry a person, who is introvert, and least confident person? 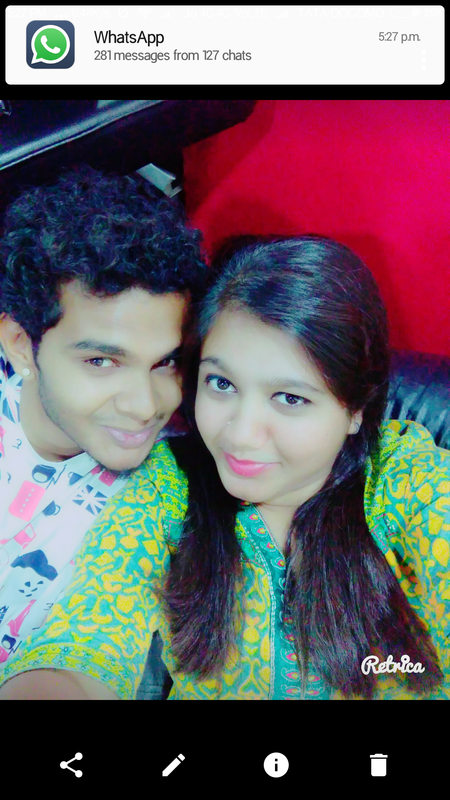 The story line continues with lots of ups and down, after meeting several girls, one girl agrees to marry Vijay, and immediately after six months of marriage, they have hardest, and toughest battle to fight. Being a ordinary man, he tries to fulfill the weird, dramatic wishlist of his wife. During the story you learn small things about life and how one accepts time and situations. The characters are well balanced, and limited in number, the twists and turns of the story seem to interest the reader and it keeps you going throughout. This book seems little different cause the story has been picked the circumstances of explaining what ones goes through after marriage, unlike other books end up getting hitched. To know more about the battle they fight, the challenges they face, how money acts important tool read the book. The cover page is beautiful and apt.